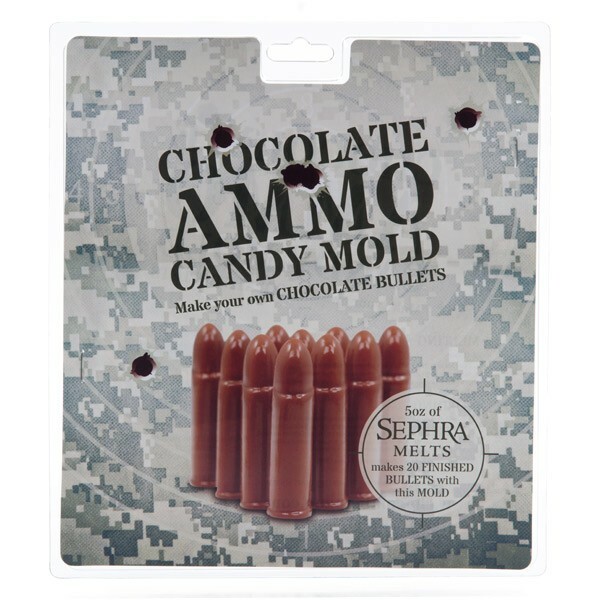 Make your own chocolate bullets. 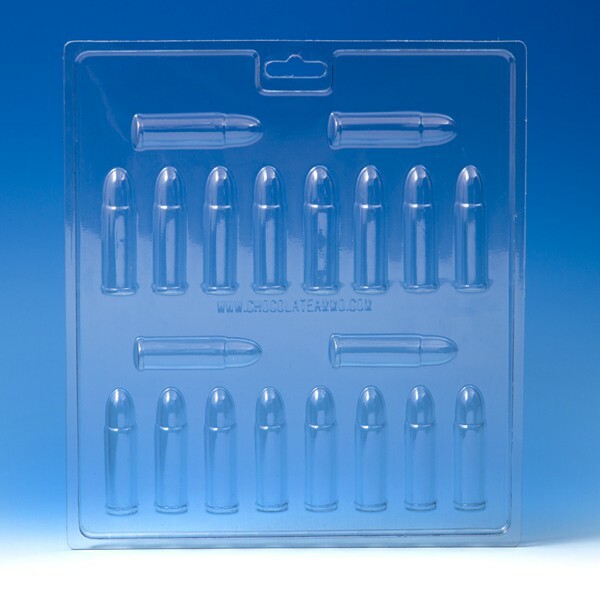 Plastic mold makes 20 bullets. Candy making just went to a new level! 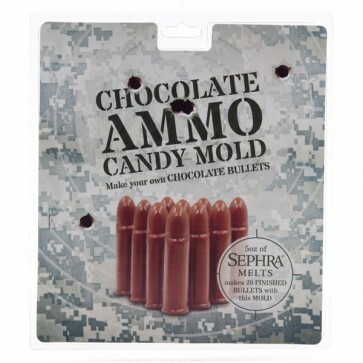 Make your own chocolate bullets in the comfort of your own bunker. 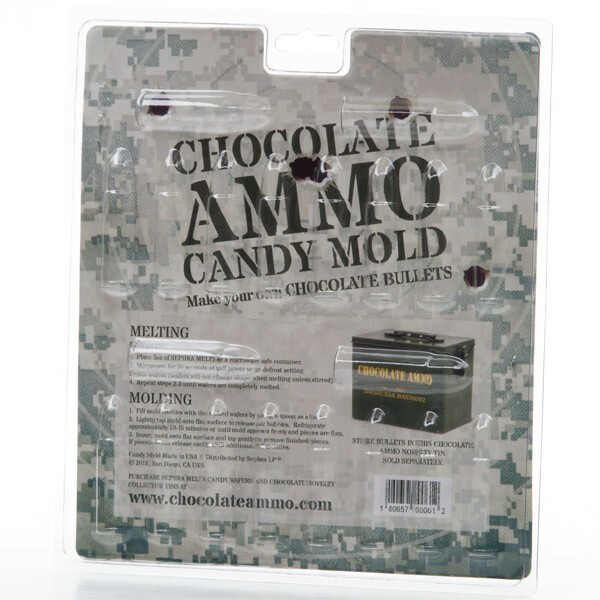 This plastic candy mold makes 20 bullets at a time. Candy mold is reusable and washable in the top part of your dishwasher. Bullet dimensions are 2.25" long by .25" wide. 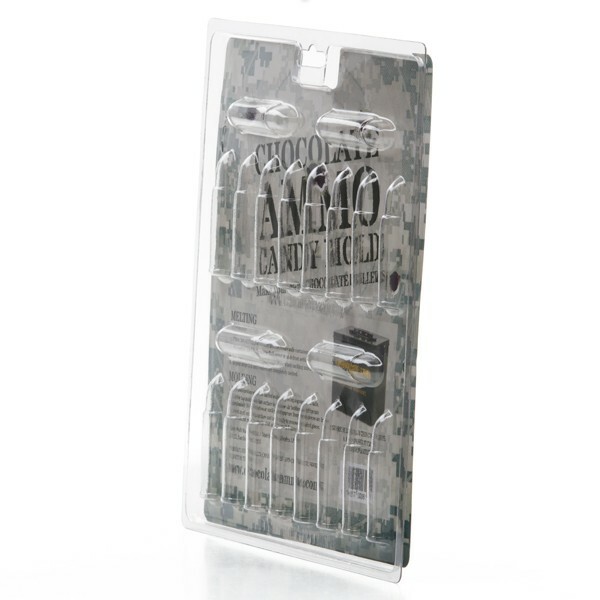 Use the bullet candy making mold to make Jell-o Bullets or Ice Cube Bullets. This item will ship US Postal Service unless ordered with a tin. Make your bullet making experience complete by ordering the Complete Candy Making Kit, Item 24048.